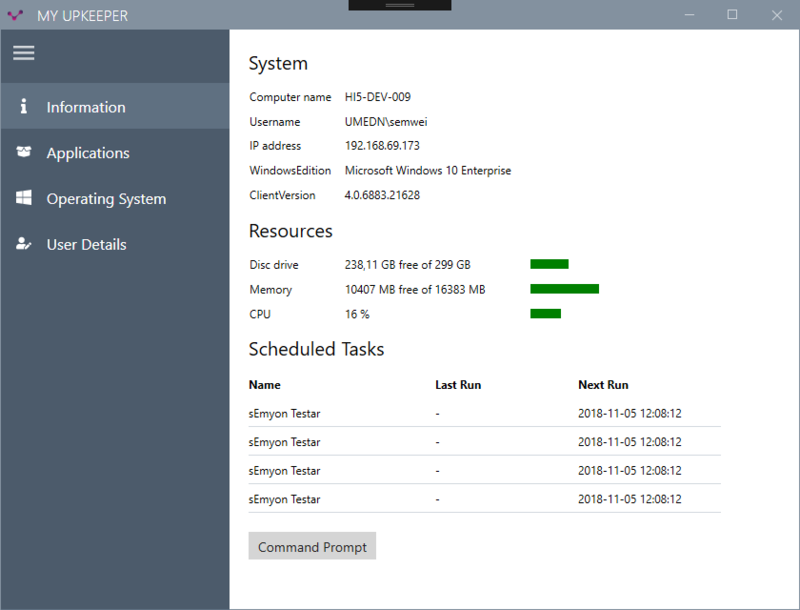 Good news for for administrators: the latest version of upKeeper Manager boasts improved security as well as better error management and logging for WSUS-integration. 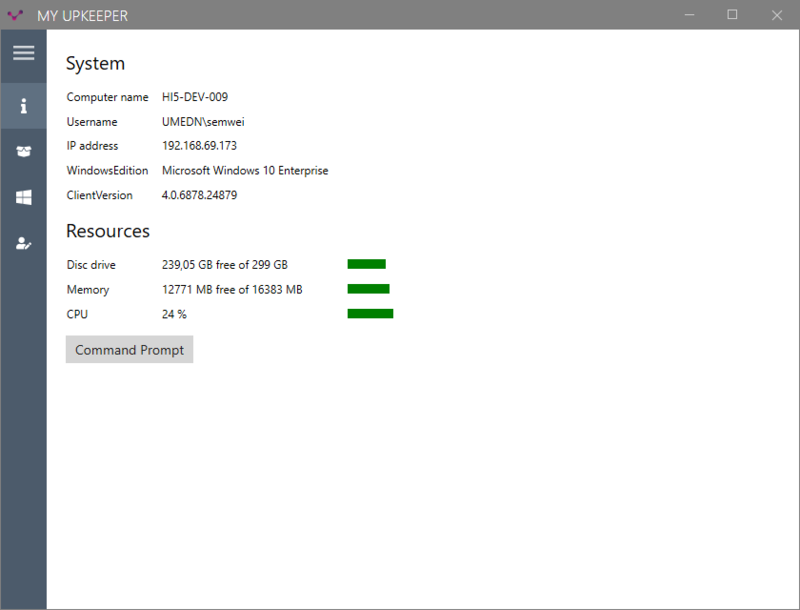 Above all, it’s the upKeeper users that will find this upgrade an improvement as My upKeeper now fits the Windows 10 design and interface. All components have been reviewed and updated to make the user experience even swifter and more resource-friendly. 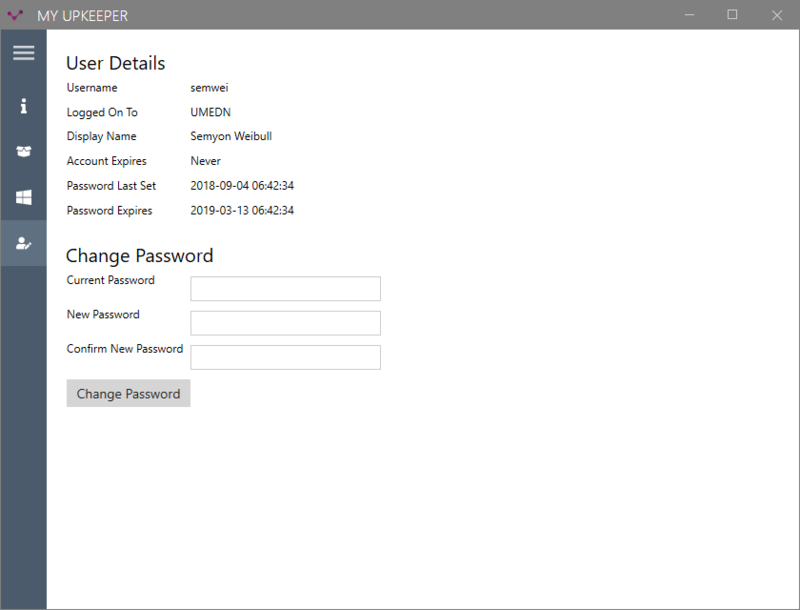 Have a look at our screenshots below and make sure to download the release notes from our ftp-server. If you have any questions just give us a call or send a message. My upKeeper’s new information page. One click on the information icon and you get more details. 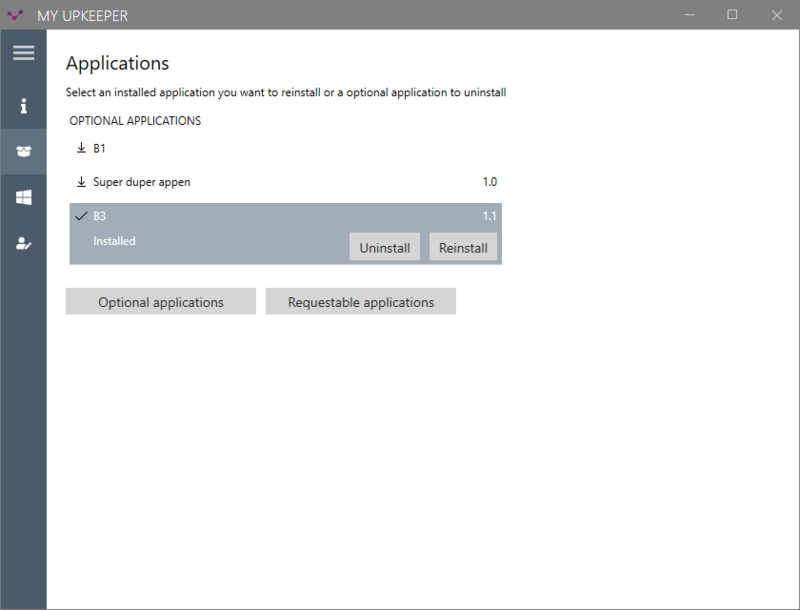 Check which applications are installed and can be un- and re-installed using My upKeeper. 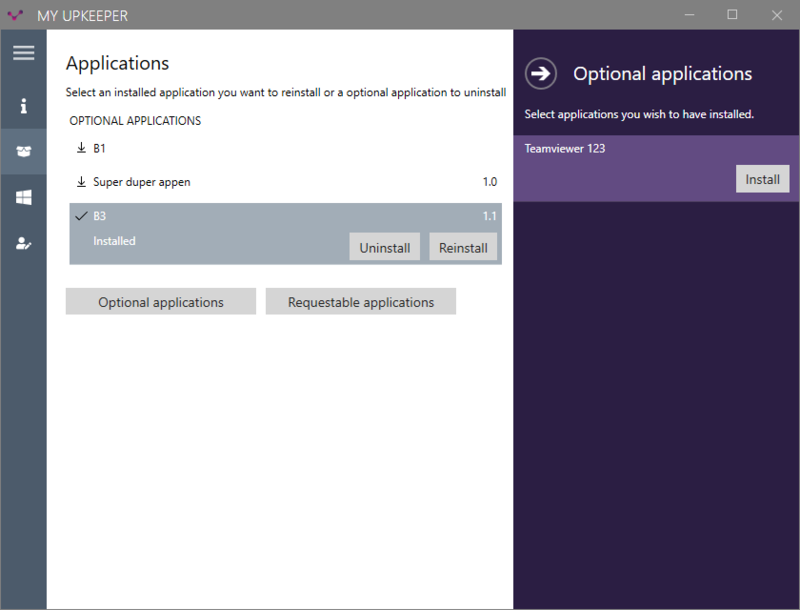 Find out which optional applications are available for installation. 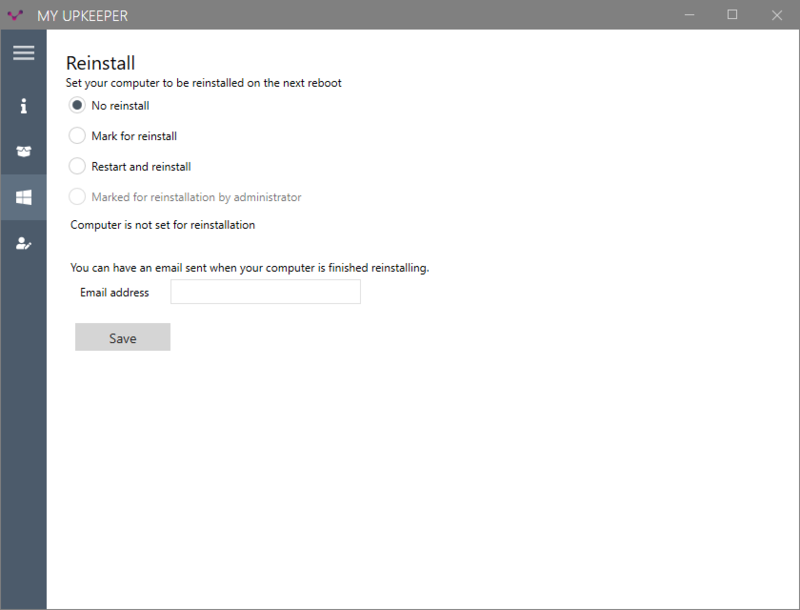 Easily perform a reinstallation at your convenience. 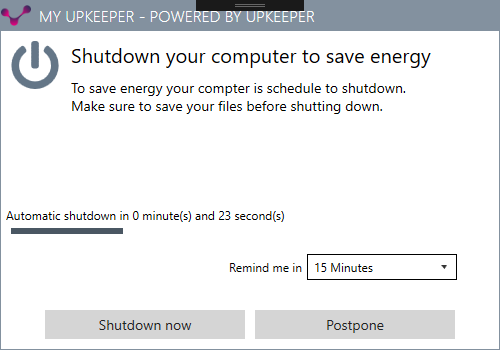 Schedule auto-shutdown for your computer and save energy and the environment. Get information on your user details and easily change your password. 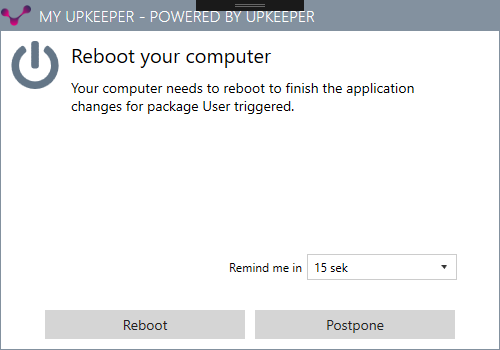 When it’s time to reboot you get an alert and can postpone the reboot if necessary.